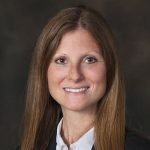 Kiera E. Kenniff | Meyerson, Fox, Mancinelli & Conte, P.A. Kiera joined Meyerson, Fox, Mancinelli & Conte, P.A., in September 2017 as an associate in the family law department. Kiera graduated from Rutgers University in 2008 with a B.A. in Criminal Justice and minors in Political Science and Criminology. After completing her undergraduate studies, Kiera enrolled in Rutgers School of Law – Newark, where she graduated from in 2015. Upon graduating from law school, Kiera clerked for the Honorable Linda Grasso Jones, J.S.C. of the Family Division in the Monmouth County Superior Court. 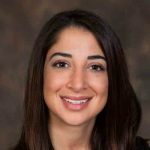 Since the completion of her clerkship, Kiera has worked exclusively in the areas of matrimonial and family law, and has appeared in court throughout northern New Jersey. Kiera is a member of the New Jersey State Bar Association.